Most of North Richmond is unincorporated. That means the residents here don’t can’t vote in city elections, and can’t lobby the City Council for grievances. For more than a decade, one man has been the de facto elected representative of the nearly 3,000 residents of unincorporated North Richmond. He is a trim, unfailingly polite man who recoils at formality (“Call me John,” he insists), who has an office in El Cerrito and serves within a legislative body that meets in Martinez. His sprawling west Contra Costa County district includes East Richmond Heights, El Sobrante, Kensington, and Montalvin. 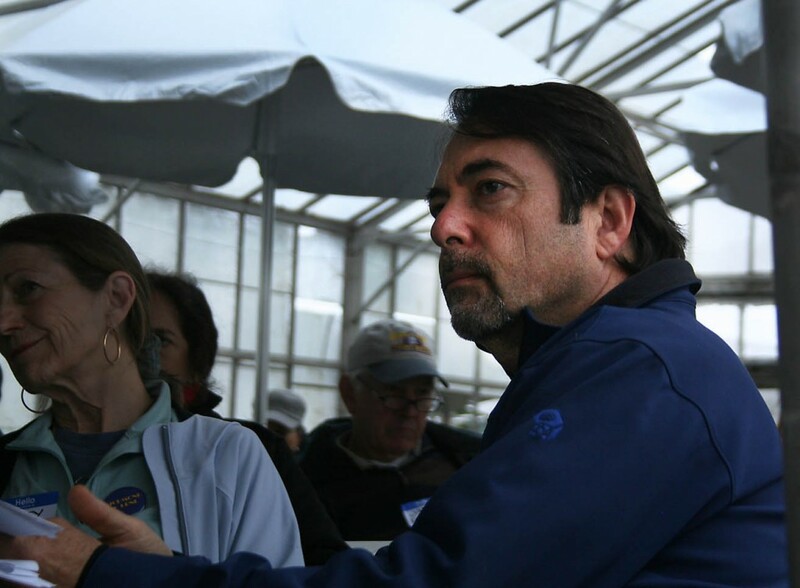 While not universally supported by local leaders, particularly those who see the county government as a hindrance rather than a supporter of progress, John Gioia has amassed numerous achievements in representing a community that amounts to a politically insignificant share of his overall constituency. He is a political powerhouse whose reign atop District 1 looks impervious to challenge. Gioia, 53, grew up in West Contra Costa County, and has a broad coalition of support and deep roots in the area. His father, E. John Gioia, was a longtime civics teacher at Richmond’s Kennedy High School and a highly-respected Richmond resident. Gioia credits his dad, who died in 1987, with instilling in him the importance of public service. Gioia during a 2010 debate with Mister Phillips at Easter Hill Church. Gioia graduated from El Cerrito High School before attending U.C. Berkeley, where he earned a BA in 1979 and a law degree in 1982. A photo of the father and son near Zellerbach Hall on graduation day sits on a shelf in Gioia’s office. The younger Gioia started a local legal practice, and was elected in 1988 as a Director of the East Bay Municipal Utility District, where he served for 10 years before his election to the County Board of Supervisors in 1998. Politically, he is seen as a solid liberal. In the late 1970s, Gioia was a founding member of the Contra Costa County’s Young Democrats Club. But he is not as far to the left as the new generation of progressive Richmond city council leaders, led by Green Party Mayor Gayle McLaughlin. Gioia consistently receives the endorsement of the Contra Costa County chapter of the Black American Political Action Committee, an organization studded with longtime Richmond political leaders that has opposed McLaughlin and other farther-left candidates like Councilwoman Jovanka Beckles. Gioia was a supporter of former Mayor Irma Anderson, whom McLaughlin narrowly defeated in 2006. “Gioia has the support of the old guard in Richmond,” Whitmore said. Gioia says he has a particular fondness for North Richmond. It’s where he met his wife, who came to North Richmond in 1999 as a member of a U.S. Department of Education task force to work on a federally-backed project aimed at improving the community. Among his accomplishments in the late 1990s, Gioia made headlines by criticizing Chevron Corp. into developing a preparedness plan—which it previously didn’t have—in case of a disaster, the fallout of which would no doubt acutely impact North Richmond residents. In 2003, Gioia teamed with State Sen. Loni Hancock and then Richmond Mayor Anderson in an unsuccessful opposition to a new Wal-Mart store at Hilltop Mall. Gioia, who has gained a reputation for being solidly pro-development, clashed with Wal-Mart over the corporation’s aggressive local lobbying efforts and concerns that a super-store would impact traffic and surrounding businesses. Around that time, Gioia also co-authored, along with former supervisor and now State Senator Mark DeSaulnier, a county ordinance, which did pass, to give the county greater control over whether to approve large Wal-Mart Supercenter-style stores. This drew national attention, and Gioia appeared on Bill Moyers’ Frontline on PBS and on Bill O’Reilly’s The Factor on Fox News. In one of his most heralded accomplishments, Gioia took a lead role in 2006 in providing Doctors Hospital in San Pablo with a $10 million loan when the facility was facing closure. To date, the county has loaned the hospital $20 million to keep it open, Gioia said, and he also chairs the hospital’s governing board in an effort to guide it onto firmer financial footing. “It’s more than the loan, its the actual work of getting more state funding, as well as funding from other area hospitals,” Gioia said. He’s also credited with establishing a mitigation fund, paid for by the nearby landfill and transfer station – which sit in both city and county territory and emit airborne and other pollutants into North Richmond – which is marked for investments in the neighborhood. The fund collects revenues through a fee on all trash brought into the waste transfer station, and has brought millions into North Richmond since 2006. In 2007, he earned resounding support from the North Richmond community, and from some of the leaders who now oppose him, for his lead role in forcing the closure of Golden 7, a liquor store in the 500 block of Market Street that had become a magnet for drug sales, loitering and violent exchanges. But Gioia acknowledges that inducing more business development in North Richmond has its challenges. Like many residents and historians, Gioia makes special note of how “vibrant” and “lively” North Richmond was during the immediate postwar years and the 1950s. Sitting in his El Cerrito office one day in late 2010, he breezily flipped through stacks of books on Richmond that he stocked on the shelves of his office, pointing out sections that refer specifically to North Richmond. Gioia has been in office since 1998, and the last 13 years have been a mostly grim time in North Richmond’s history. During this period, crime has spiked at times to Third World rates, money for public housing projects has dried up and the nationwide housing collapse decimated the already fragile community. Violent crime is down in the last two years, but the homicide rate remains much higher per capita than in the city of Richmond. Gioia said that increasing sheriff’s deputy patrols in North Richmond probably played a role in reducing overall crime. The beefed up patrols were paid for by a combination of mitigation funds, redevelopment funds and money from the Housing Authority and County Health Department that had been used to provide security at the North Richmond Center for Health. In the early 2000s, as the ill-fated housing boom was just taking off, North Richmond seemed poised to prosper, Gioia said. Nowhere had cheaper land in the Bay Area, and values were on the ascent, attracting eager buyers who were more likely to look in places they otherwise would not consider in search of affordability. KB Homes, the national housing developer, built a major development of single family homes in the in the early 2000s, hoping to capitalize on the upswing in housing demand and prices. Prices for homes in North Richmond were scaling unprecedented heights, moving well over $500,000 for a basic 3-bedroom home. But in the ensuing years, as the economy slowed and the housing market went bust, Gioia says sales were sluggish and prices fell drastically. Houses remained empty. Developers did not meet projections. Buyers saw their investments in North Richmond crater. Residents and buyers also quickly began having misgivings about the tract’s neighbor — the Las Deltas Housing projects — and demanded that walls and fences be built to provide a clear dividing line. Today, even with some of the cheapest land prices in the Bay Area, interest is tepid. “People were looking at moving in or investing in property for a time, but that has changed,” Gioia said. According to the county Assessor’s Office, modest, older homes are scattered all over North Richmond are valued at less than $100,000. Today, any development, county-supported or otherwise, is exceedingly difficult to get off the ground. With virtually no retail businesses in the neighborhood, the perception of pollution, spotty public transit and a persistent crime problem, kickstarting investment in the area is difficult. Why the trouble? “No one wants to move in there without an alcohol permit, and we don’t want to give them one,” Gioia said. The neighborhood, which was solidly African American for decades after World War II, is now changing demographically, which is most evident on the Richmond city side, where streets bordering the southern railroad tracks are dotted with homes that fly the flag of Mexico. “The neighborhood is nearly half Latino now,” Gioia said, adding that the continued infusion of new, working families must be part of the neighborhood’s growth in the future. Gioia firmly believes that North Richmond will have a future of growth, particularly in housing and retail and commercial investment. He said that the he’ll push for a vote this year to rezone the largely vacant, formerly industrial lands to the north of current housing stocks, an action which would allow for developers to build homes and retail centers in the area. The spot could become a magnet for new homeowners and young professionals looking for affordable housing in the Bay Area, Gioia believes. The location’s proximity to Bay Area job centers and the nearby San Rafeal Bridge could be a strong incentive. Regional transportation infrastructure, like BART and Amtrack lines, have been developed nearby in recent years. Specific plans developed by the county lay out an enticing vision of North Richmond as the Bay Area’s next hot spot for affordable housing and new homebuyers and working families. Gioia is not alone in thinking that North Richmond is brimming with potential. 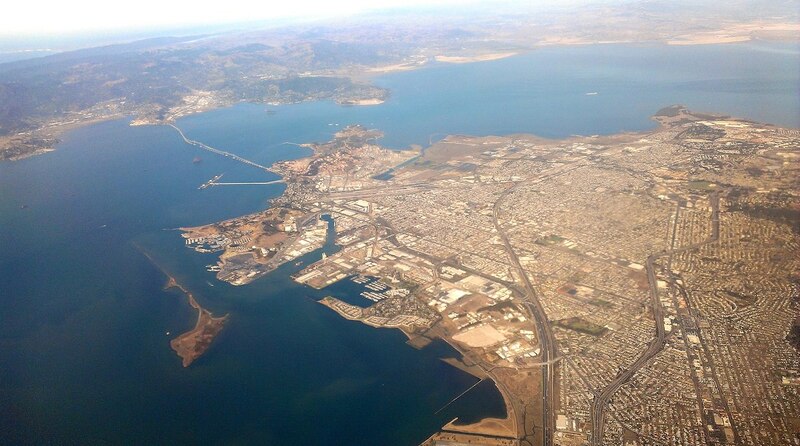 Richmond City Councilman Jim Rogers, in a guest column that appeared in the Alameda Times Star on March 13, 2010, argued that North Richmond’s shoreline is a misused jewel. Rogers noted that much of the city’s — and North Richmond’s — extensive shoreline was long ago claimed by industrial interests in a hasty land grab that did not take into account the public good. But Gioia has his critics, who accuse him of neglecting North Richmond and making poor choices in terms of resource allocation. Mister Phillips, 32, a local attorney, is one of Gioia’s most vociferous critics; he challenged Gioia for his supervisor seat in 2010. While Gioia trounced Philips at the ballot box, his unsuccessful campaign did highlight the plight of North Richmond. During his failed bid, Phillips railed against what he called “horrible” conditions and inadequate public safety, problems he laid firmly on Gioia’s doorstep. “Those of us who have spent significant time in North Richmond know the county has failed to provide North Richmond basic public services like street lights, which has contributed to crime in the area,” Phillips said during an interview in May. Phillips’ campaign against Gioia was unsuccessful in part, some observers believe, because he spent too much time focusing on the plight of North Richmond. A community so poor and so small doesn’t pay much in terms of ballot box dividends. Another detractor who has raised his profile in recent months is Rev. Kenneth Davis, a North Richmond community leader who has organized protests at Gioia’s El Cerrito offices and has let fly with whithering criticisms. Davis’ ire was prompted in part by Gioia’s role in allocating money from the mitigation fund. Although Gioia is just one vote on a seven-member committee, Davis has charged that the supervisor’s influence is a major factor in allocating hundreds of thousands of dollars of mitigation funds annually to the county Sheriff’s Department in the form of salaries for additonal deputies in North Richmond. Davis led a protest at Gioia’s offices in April. Gioia dismissed the protests as not representative of the community’s concerns and instead a play by Davis and his ally, former urban farming supervisor Saleem Bey, to secure public dollars for an “Eco-Academy” youth training program, which would be run by Bey. Becnel gave back $175,000 that had been marked for the academy – to be run by Bey – because of run-ins that she said she had with Bey. That money will be reallocated to another program by the committee, which includes Mayor Gayle McLaughlin, Councilman Nat Bates and North Richmond environmental activist Henry Clark. Nevertheless, Davis has called Gioia a “slave master,” and “poverty pimp,” alleging that the supervisor is a leader of a county system that looks to enrich agencies, especially the sheriff’s department, rather than solve the community’s problems of poverty, pollution and violence. The slurs strike a deep chord with the normally sunny Gioia, whom contemporaries describe as a man who cares deeply about maintaining support among his African American constituency. Gioia has maintained good working relationships for years with neighborhood civil rights icons like Fred Jackson and Barbara Becnel, who runs the North Richmond Neighborhood house. Gioia has his staunch supporters, too. Joe Wallace, a longtime resident and member of several neighborhood associations, said Gioia’s reign has been comparatively good for North Richmond.